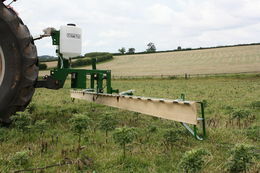 We have two WeedWiper models (2m and 6m) which we use as part of our habitat management programmes. We found the weed wipers indispensable in managing excess growth and spread of soft rushes in internationally protected wet grassland habitats. The 6m unit is proving ideal for wider and flatter areas whereas the 2m one is achieving excellent results on hillier sites. 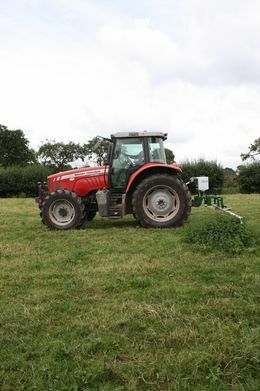 The 2m WeedWiper is also used for bracken control where it does just as well. 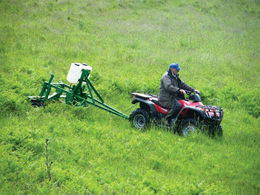 The WeedWiper delivers herbicide directly by brush contact with no drift thereby allowing us to efficiently manage weeds without compromising this highly sensitive unique environment. 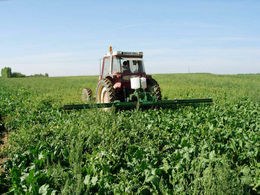 The WeedWiper is a unique method of eliminating weeds in susceptible crops. 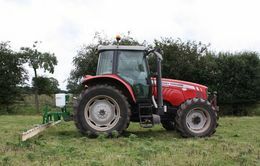 The unit is extremely versatile and can be tractor mounted or used with our optional trailer and towed behind e.g. quad bike, etc. The secret of successful weed control at minimal cost with a wiper is reliable and accurate control of pad wetness - the pad must be saturated for a good transfer of herbicide, but not dripping. Only the WeedWiper with its electronic control system can automatically keep the pad at the correct saturation level regardless of travel speed or the density of targets. 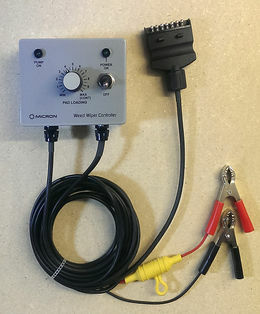 The electronic control box works rather like a thermostat. A thermostat regulates room temperature by switching a heater on and off in response to temperature changes in the room. The control box regulates the supply of herbicides to the pad by switching a pump on and off in response to changes in the amount of herbicide in the pad. The pad is always saturated for a good transfer of herbicide, but it never gets so wet that it drips. You don’t waste time or herbicide and you don’t damage desired under-storey plants. The WeedWiper’s core technology (the combination of an electronic control system, sensors and the R12 synthetic pad material) can be carried on a range of mechanical configurations which are limited only by the imagination of the designer and the cost of construction. Mounted on the three-point linkage. 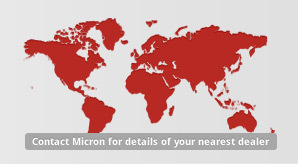 Available as 2, 3 or 6 metre folding units. 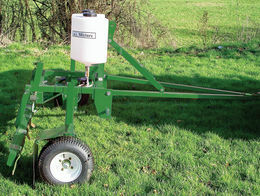 The 2 metre unit can also be supplied as a non-folding version. An optional trailer is available for ATVs and utility vehicles.